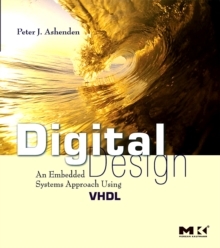 Digital Design: An Embedded Systems Approach Using VHDL provides a foundation in digital design for students in computer engineering, electrical engineering and computer science courses. It takes an up-to-date and modern approach of presenting digital logic design as an activity in a larger systems design context. Rather than focus on aspects of digital design that have little relevance in a realistic design context, this book concentrates on modern and evolving knowledge and design skills. Hardware description language (HDL)-based design and verification is emphasized--VHDL examples are used extensively throughout. By treating digital logic as part of embedded systems design, this book provides an understanding of the hardware needed in the analysis and design of systems comprising both hardware and software components. Includes a Web site with links to vendor tools, labs and tutorials.